It's no secret that from time to time many of us have searched on Google for our name or someone else's. When searching for yourself to see what others would find, results can be varied and aren't always what you want people to see — whether it's someone else with your name, or the finishing time from that 5K you ran back in 2002. We want to make that better and give you more of a voice. To give you greater control over what people find when they search for your name, we've begun to show Google profile results at the bottom of U.S. name-query search pages. These results offer abbreviated information from user-created Google profiles and a link to the full profiles. We've also added links so it's easy to search for the same name on MySpace, Facebook, Classmates and LinkedIn. 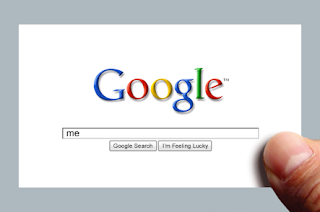 Don't have a Google profile? Just search for [me] and follow the instructions at the top of the page to create one. In just a few minutes, you can create a public profile that represents you and that appears when people search for your name on Google. Check out www.google.com/profiles to learn more.